When you first speak with Sara Schwartz she exudes such an inner tranquility and calmness that it’s hard not to relax and let her take care of you. As Business Manager for Gabriele Sewtz & Partners , her mission is to ensure the non-transactional side of the real estate experience is just as easy, smooth, and comfortable. Owning a townhouse with her husband, Sara understands that buying or selling a home in New York City is a complex and personal process. As your designated guide, she anticipates your every need with poise and purpose. From hiring movers to best practices on packing to home organization techniques and recommendations of who to call for that spill on the carpet. Cultivated from 10 years as a client services professional at Tiffany’s, Sara can intuitively assess any situation with a solution already in mind. You, too, will wonder how she does it with awe and satisfaction. 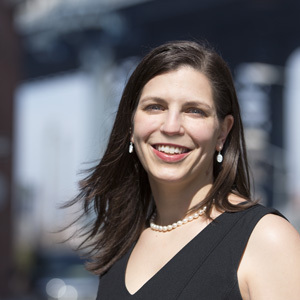 A lifelong Brooklyn resident and mother of a young child, Sara knows not to sweat the small stuff. You’re in good hands with Sara and The Gabriele Sewtz Team.